I don’t know who recommended it to me. 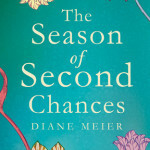 If it was you, please let me know so I can say thanks, but at some point, I put The Season of Second Chances by Diane Meier on my Bookmooch list, and I’m very glad I did. The book started a little slow for me – it took me a while to really care about Joy, the protagonist, but, well, that’s kind of the point. She’s pretty closed off. Pretty walled up. I can understand that place. I’ve lived it. But then, the walls begin to crack. She buys a beautiful old house, invites someone in to restore it, and begins to open. I can understand that, too. I really enjoyed this book – because Joy is an academic, because there is an old house involved, and because it is a story of a woman coming to know herself a bit later and love her life. I’ve lived that story. But I also appreciate the book because it allows for all types of women to be feminists – women who care about their appearance, women who are married with children, women who are single without children, women who are gay and who are straight. And there’s no militance – although I’d have no issue with that either – but there is strength, and mentoring, and community. I just love that. And did I mention there’s an old house that gets fixed up? . . . I love that, too. 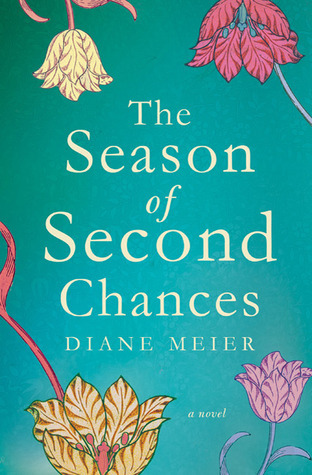 So if you’re looking for an easy-to-read book about strong women that includes real characters, real community, and real change, I highly recommend The Season of Second Chances.